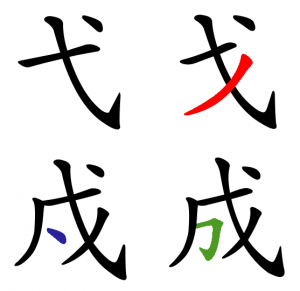 Do you know what the real challenge of learning Chinese characters is? Some people who are good at learning things but haven’t learnt Chinese ask what the problem is; memorising a few thousand facts isn’t that difficult. That’s true, but it also misses the point. The problem with learning thousands of Chinese characters is to keep them separate from each other and remembering how they fit together into words and sentences. That’s the real challenge. It goes without saying that this becomes harder the more characters you learn. For beginners, the main problem is to just learn the characters, but the more advanced you become, the bigger the problem of keeping things separate becomes. The things I talk about in this article will probably be more useful for intermediate and advanced learners. In this series of articles, I’ve given you the information and resources you need to integrate the different levels of learning Chinese with each other, showing both how you break things down and how you put them in context. Zooming out – Moving from a lower to a higher level: components to characters to words to sentences. Putting things in context in order to understand them. Panning (this article) – Exploring the nearby areas of the web without either zooming in or out. Understand how similar things are different and how different things are similar. In this final article, I will look at panning, which is horizontal references on the same level. In other words, it’s about how to keep components, characters and words separate from each other. Understanding how similar things are different and how different things are similar. Before we get to suggestions for tools and resources for panning, there are two important principles I want to discus: making learning meaningful and the importance of tracing errors. First, the most important thing when learning to keep two things separate is to make the difference between them meaningful. This can’t be emphasized enough. If the difference between two common character components such as 良 and 艮 is just a single dot, it will be more or less impossible to remember this without further action. A dot is not meaningful in itself. You then use mnemonics to remember the difference. That means that you should have one specific mnemonic for 良 and another for 艮 that you can use to remember if there should be a dot or not. The second thing you should do is to trace your errors. The more advanced your Chinese is, the more important this principle becomes. For example, if you write a character incorrectly, does the character you wrote mean something? What about the character component? Continuing with the above of 良 and 艮, if you are to write 鄉 and can’t remember if there’s supposed to be a dot over 艮 or not, and don’t go to the bottom of the issue, you might study for years and still confuse the two character components. However, by tracing your error to the source, you can solve the problems.In this case, it means learning about the phonetic components at work. And, most importantly, you not only solve this particular problem, you solve the same problem for dozens of other characters that also use 良 and 艮. Naturally, not all errors lead to goldmines that help you solve all your problems. In some cases, the answer is lost in time or very hard to find. HSK东西 graphs – This website has some excellent graphs for illustrating how HSK vocabulary is related to each other. Dealing with near-synonyms as an independent learner – This is my own article about how to deal with near-synonyms in Chinese. 5 websites to help answer your questions about Chinese – You won’t be able to answer all questions yourself. This article tells you were to go for help. 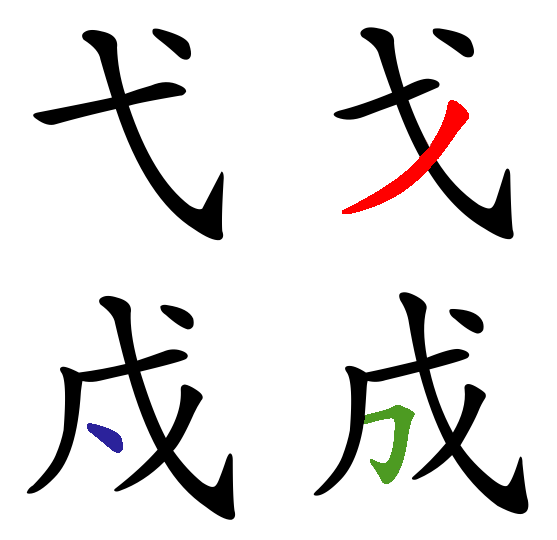 Horizontal Hanzi – This site was apparently inspired by my article about horizontal vocabulary learning. It helps you with some common confusing cases. Zhongwen.com – The interface is from the previous century, but it still has a nice, graphical overview of the characters. That means the end of this little series of articles discussing how to better integrate your knowledge through zooming and panning. I hope you will find it useful!